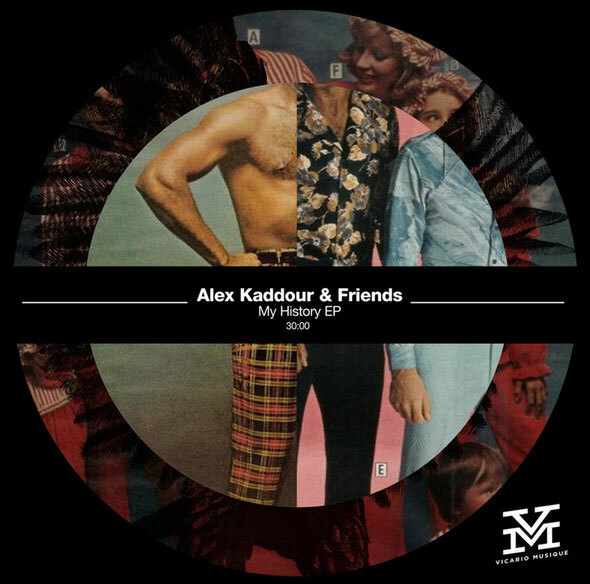 Tijuana’s Vicario Musique offers up a new EP from Spanish DJ/producer Alex Kaddour with collaborations and remixes from his musical friends. Alex hails from Spain’s Canary Islands where he cut his teeth as a DJ during the ‘90s and developed the talent that has seen him rise to prominence over the last few years. His DJing has taken him to Europe’s leading clubs and his production work has seen him releasing for respected labels such as Berlin’s Lucidflow and Piekup Records. Now he has joined forces with Vicario Musique and a host of friends for a brand new EP of house music. The ‘My History EP’ opens up with the original version of ‘Luxemburgo’ featuring fellow Tenerife DJ/producer Isaac Silva. It’s a rough and rolling slice of underground house with a dense woven mix of percussive rhythms and melodic elements sitting beneath a twisted soulful vocal track and it works well. Next up is ‘My History’, featuring Dania & Adrian Rodriguez which journeys into deeper territory with a laidback house vibe and some understated production. Vocals samples and tape delayed keys pepper the arrangements and give an uplifting feel to the otherwise chilled out atmosphere. The penultimate cut sees Canadian production don James Teej take time out from his work with My Favorite Robot to remix ‘Luxemburgo’. He turns up the intensity with some squelching 303 and a mix that brings the vocal to the fore amongst some retro synth parts. Finally Alex gives his own solo re-interpretation of ‘Luxemburgo’, delivering a rock solid club mix that uses old school bass and ‘80s influenced drums to deliver a good alternative. Out 13 March.